CBD gummies are a fuss free way to accurately dose Cannabidiol (CBD) – a naturally occurring chemical in the cannabis plant that has significant therapeutic potential. Once extracted from the plant, CBD can take the form of a range of products, each with their own advantages. This article covers how to dose with CBD gummies, their advantages over other methods and a review of the best CBD gummies for sale. What does it feel like? Does it make you feel high? CBD produces a calming, relaxed feeling, with many of its potential benefits being realised after consistent use. Unlike the other cannabinoid THC – the chemical responsible for a ‘high’ feeling, CBD does not have any psychoactive affect. For an in-depth breakdown of each of these medicinal properties and uses read our article: How does CBD work? These are our top picks for CBD gummies. Each of them are made by reputable producers, and all of them specify how much CBD is in each gummy. Made in the US, this jar contains 30 gummy bears, each of which are infused with 10mg of CBD, giving the jar a total CBD content of 300mg. Every jar has a mix of different sweet flavours. There are a number of advantages of taking cannabidiol (CBD) in the form of gummies or candies, which has made it an increasingly popular product. The primary positive is that CBD gummies taste nice, as candy should. While this may seem fairly insignificant, CBD oils and tinctures have a very strong earthly / cannabis taste – CBD is an extraction from a plant after all. CBD gummies are a much more enjoyable option for those sensitive to the taste of CBD tinctures or don’t like smoking CBD hemp buds. Secondly, CBD gummies are easy and highly convenient to take compared to oils which need to be precisely measured out by a dropper. They’re easy to take when you’re out and about, which is particularly useful if you need to take multiple doses a day. 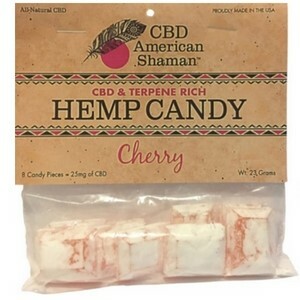 It’s also convenient in that each piece of candy has a precise CBD content. One of the main drawbacks of other forms of administration is that it can be difficult to know exactly how much CBD you’re taking, which is problematic when you’re trying to determine your optimal dosage. If you currently use CBD tinctures, you may find our CBD dosage calculator helpful. Thirdly, the effects of CBD last longer when ingested. Edibles take longer to take effect, as your body has to break down the food and then the CBD is absorbed into your bloodstream. Therefore, CBD edibles, including gummies, are a slow-burning, longer lasting way to take CBD. Unlike other forms of taking CBD, each CBD gummy should tell you how much CBD is in each piece of candy – and if this information isn’t clearly labelled on a product, you certainly shouldn’t buy it. How to take CBD Oil – CBD dose guide. Many people prefer taking CBD gummies for this reason. Rather than messing around with trying to figure out how many drops of CBD tincture you should have or how much you should smoke, you can simply adjust how many gummies, or even portions of gummies, you take. It’s easy to cut gummies into pieces allowing half or quarter doses. If you already know that you require higher doses of CBD, it’s probably worth buying a product that packs a higher amount of CBD into each gummy. 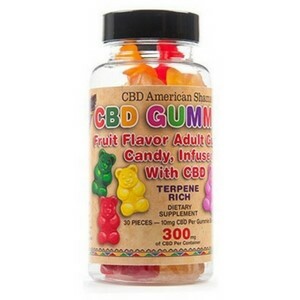 The effects of CBD are felt for approximately 4-6 hours, as gummies are ingested, the effects of the CBD will last toward the longer end of this range. It’s common for people to take a morning and evening dose. To ensure that you’re getting the most out of each CBD gummy, we recommend sucking each candy for a couple of minutes (this will allow some of the CBD to be absorbed sublingually. After this chew the gummy well and swallow. 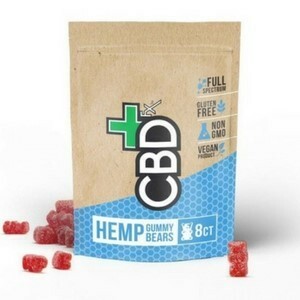 Take CBD gummies with food or an empty stomach? Taking CBD with food increases the bioavailability of the CBD, that means that it makes it easier for your body to absorb and more will end up in your system. When buying any kind of CBD product, it’s important to do some background research on both the product and the supplier to ensure you’re getting high quality. Testing: Make sure that your supplier has each batch of their product third-party lab tested for CBD concentration and contamination. Quality guarantee and returns:Suppliers who sell quality products usually provide information on product returns and consumer care. 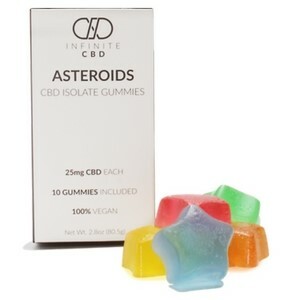 Your dosage requirements:You should also consider what your dosage requirements are, as some gummies have 5mg of CBD in each candy, while others have 25mg of CBD.